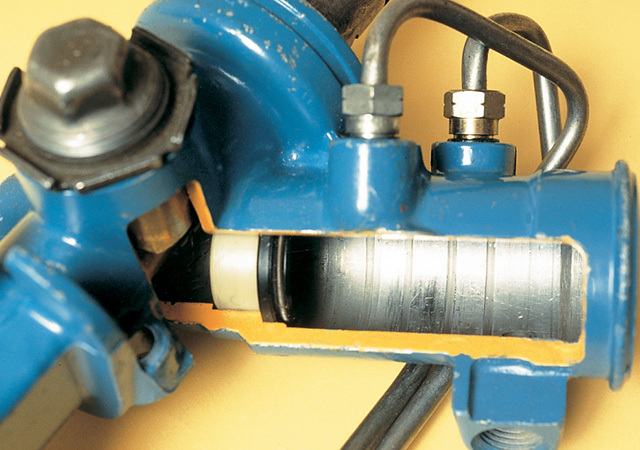 The power steering pump produces high pressure between 800–2000 pounds, with high heat. This leads to fluid breakdown and failure. Symptoms include groaning and whining noises, erratic steering and pump leaks. Grooves are worn into the soft metal of the spool valve housing by hardened seals. Metallic debris from such wear accumulates in the fluid causing premature component failure!